The New Brighton real estate market presents a variety of single-family homes and condos for sale and many of these are desired for their location sitting atop cliffs, commanding expansive views of the Pacific Ocean. This bluff-top neighborhood also features scenic views of the adjacent New Brighton State Park, known for its long sandy beaches, spectacular vistas, and the nearby forest of Monterey Pine and Coastal Live Oak trees. Residents of New Brighton homes enjoy quick access to the beach and state park, as well as Capitola Village. This is a chance for you to experience waterfront living with some of the most stunning sunsets known to mankind. Read on to learn more about New Brighton, Capitola homes for sale or look below to the MLS to browse all listings. Never miss out on a great deal again when you take advantage of our free registration. You’ll be able to sign up for email alerts when new homes in New Brighton enter the market. Originally a Chinese fishing community, New Brighton was known as China Beach in the 1800s until the state park was established. The community’s name was then changed, in honor of the seaside resort in England. Homes in the area are found just walking distance to the beach, state park, and also Capitola Village. New Brighton houses found directly adjacent to the park and beach are desired for their private properties, stunning views, and quiet natural surroundings. Though the beach is a masterpiece, it’s a bit like a best-kept secret as you’ll notice not many people outside of residents or the odd tourist will make their way across the sandy stretch. The majority of the homes found in New Brighton real estate are beautiful oceanfront properties with direct access to the sand and Santa Cruz waters. No two homes are the same, as some are traditional beach houses with cedar shingles, while others are chic and contemporary styles. A couple of common features the homes share are over-sized picture-windows to take in all of the New Brighton Beach magic, and extended sundecks or patios, perfect for soaking up all the Santa Cruz rays. Some New Brighton homes for sale are considered to be beach estates, while other properties in the area are cozy and quaint beach cottages. Due to being located in such prime Santa Cruz real estate, New Brighton home for sale is up there in terms of value, but the homes are full of character and quality. Newer builds have a very earthy yet chic look and design, boasting floor-to-ceiling windows, modern fixtures, recessed lighting, smart home automation systems, cedar wood finishes, vaulted ceilings, wooden-plank flooring, stylish kitchens with the latest appliances, and remarkable spa-like bathrooms. Each room takes advantage of the views off into the distance, including master bedrooms with charming fireplaces. Though luxurious, these homes are demure and do not take from the beautiful nature that surrounds. Homes that were built in the last decade or so are still timeless builds with a nice beachy vibe. Open floor concepts offer 1,800 square feet to 4,000 square feet, accommodating 3 to 5 bedrooms and bathrooms. The best thing to do in New Brighton beach is to enjoy the epitome of relaxed Santa Cruz living, right in the comfort of your own home. New Brighton home for sale offers a lifestyle that’s full of sun and solitude. Sitting on your deck while taking in the views is one way to start and finish your day. Listening to the gentle sound of the ocean and putting your feet in the sand never gets old at Pot Belly Beach! New Brighton State Beach is popular amongst Californian’s and people visiting from other parts of the world for its abundant marine life. Much as a reef does, the SS Palo Alto concrete freighter nearby the beach attracts a lot of marine life. 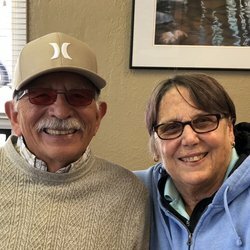 The Visitor Center at New Brighton State Beach offers a chance to take a closer look at the various species, and the origins and cultures of this area. Many people love to experience the negative tide by walking the 2-mile roundtrip excursions along the beach from New Brighton to Capitola, just before sunset! Friends and family can also camp at the park, but reservations well-in-advance or recommended. New Brighton is peaceful yet close to important points of interest. The quaint seaside village of Capitola is only a 5-minute drive from home where you can visit the iconic bayfront promenade. Enjoy a cocktail and dinner at Zelda’s On The Beach while the sun melts away for the day. Basic shopping needs are found 20 minutes away in Watsonville at the Watsonville Shopping Center. 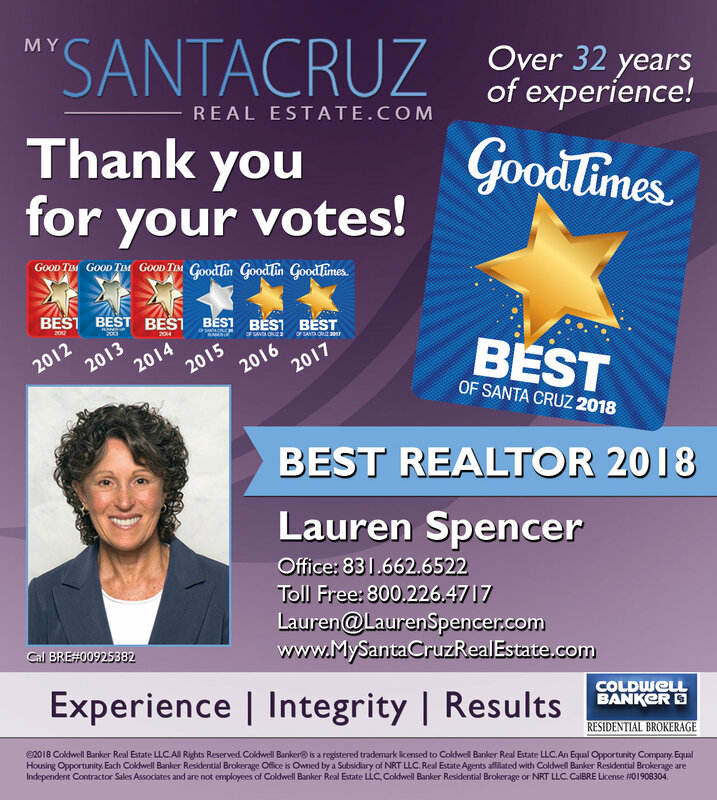 If you think New Brighton, Capitola real estate might be right for you, contact Lauren Spencer online, voted Santa Cruz’s best Realtor®.